The last three months of any given year are especially contentious, but the fourth quarter of 2018 might be one of the biggest all-out brawls the industry has seen in a number of years. The rising tide truly lifted all boats this year, as the game industry as a whole reported $43.4 billion in revenue in 2018, which is up nearly 20 percent from the previous year. Winter made no small contribution to that number with major software sales across the board. Super Smash Bros. Ultimate is by far the biggest seller of the month, topping the chart. The Switch exclusive debuted as the highest-selling exclusive, a game only released on one console, in NPD history. This list includes every Halo, Pokémon, PlayStation 2 Grand Theft Auto games, and even the recent Spider-Man. While it’s hard to say whether the Nintendo fighting game will continue selling for the foreseeable future, the first month sales trajectory will likely make it the best selling game in the series, which is already the best selling fighting game series on the market. 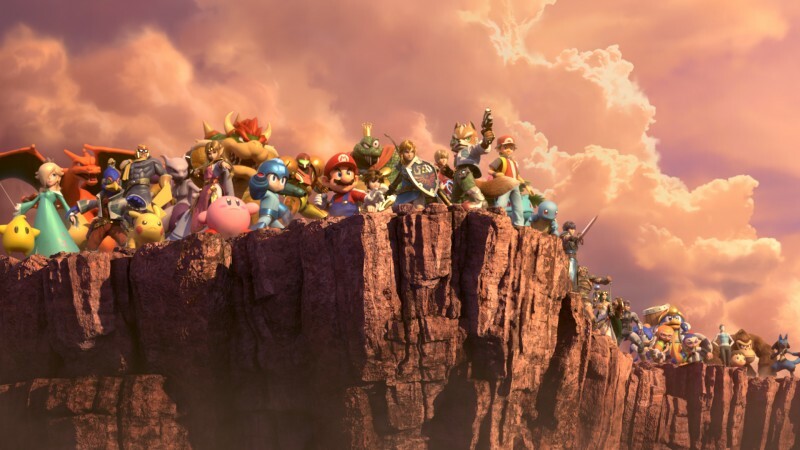 Between the physical sales and usual percentage of digital sales, which are not reported by the NPD, it’s likely Smash Bros. sold somewhere north of four million units in the U.S. in December. In other Nintendo software news, Mario Kart 8/Deluxe (NPD groups the Switch and Wii U games together) has now achieved the record for the second best selling racing game of all time. It is second place to Mario Kart Wii. While previous years have had Call of Duty ending the year as the best selling game of the calendar year, 2018 goes to Red Dead Redemption II. This is probably not a surprise to most, considering the game’s quality, advertising push, and the historical legacy of Grand Theft Auto V continuing to live on the charts for literal years (and is in the top 20 again for December). Call of Duty: Black Ops 4 did, however, land as the second best selling game of the year. The third best selling game of the year was NBA 2K19, which also makes it the best selling sports game of 2018, a now-yearly accolade given to the NBA 2K series. It is followed by Madden NFL 19, the fourth best selling game of the year, and then Super Smash Bros. Ultimate. With the exception of Red Dead Redemption II, the entire top five best selling games of 2018 were either primarily or heavily emphasized multiplayer. In terms of hardware, Switch finishes the year as the best selling console of the year, finally beating out Sony’s PlayStation 4 yearly totals for the first time, though this is also the first year that both systems had full years on the market together. Switch also set a record for highest dollar amount in December sales for any console since the Wii in 2009, though the Switch also costs slightly more than the Wii but less than other contemporary platforms. As an odd aside, the best selling accessories of 2018 were the black PlayStation 4 controller and the white Xbox One controller. The Switch Pro Controller is also there, but the type/color was not listed. It should be interesting to see what 2019 holds for these three platforms. With a number of heavy hitters already out the door, all three platform holders have yet to really reveal their hands for this year. By this time next year, we could theoretically be discussing whether The Last of Us II outsold Halo Infinite or whether Animal Crossing quietly outsold everything else. For January at least, we should be seeing short pieces of sales data for Resident Evil 2 and Kingdom Hearts III, the month’s biggest anchor. It’d be wise to keep an eye on New Super Mario Bros. U Deluxe, as well. While it doesn’t seem to command a lot of excitement, the series has sold tens of millions of copies in aggregate.